Melisa Allela is an Assistant Lecturer and doctoral student at the Technical University of Kenya, enrolled in the Design and Creative Media department. She merges her background in animation, design and Interactive Media to explore storytelling using experimental animation techniques that fuse various emerging tools and technologies. 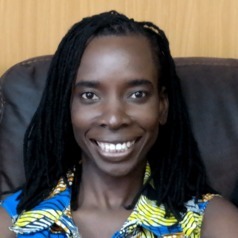 Her area of research is animation and Interactive Systems (Human-Computer Interaction) where she explores the digitization of African oral storytelling using emerging technologies such as embodied conversational agents and Virtual Reality. She is interested in the interdisciplinary implications as well as future research prospects on the convergence of animation and emerging technologies that push the boundaries of artistic and scientific practice in Interactive Media. She looks forward to the tipping point moment for women in tech and their increased participation in the fields of Animation and Interactive Media production.